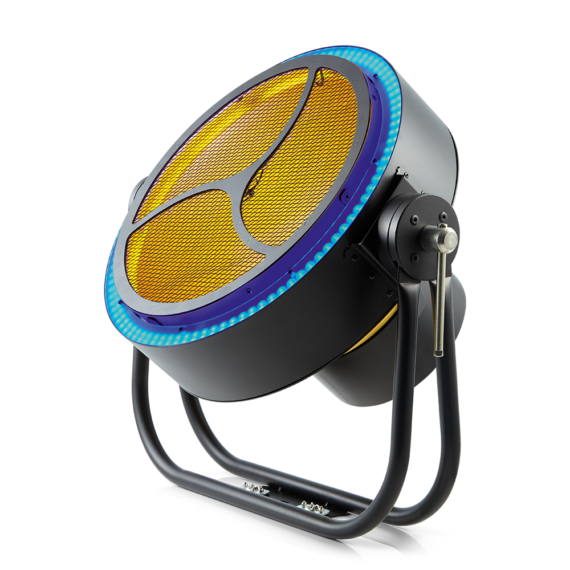 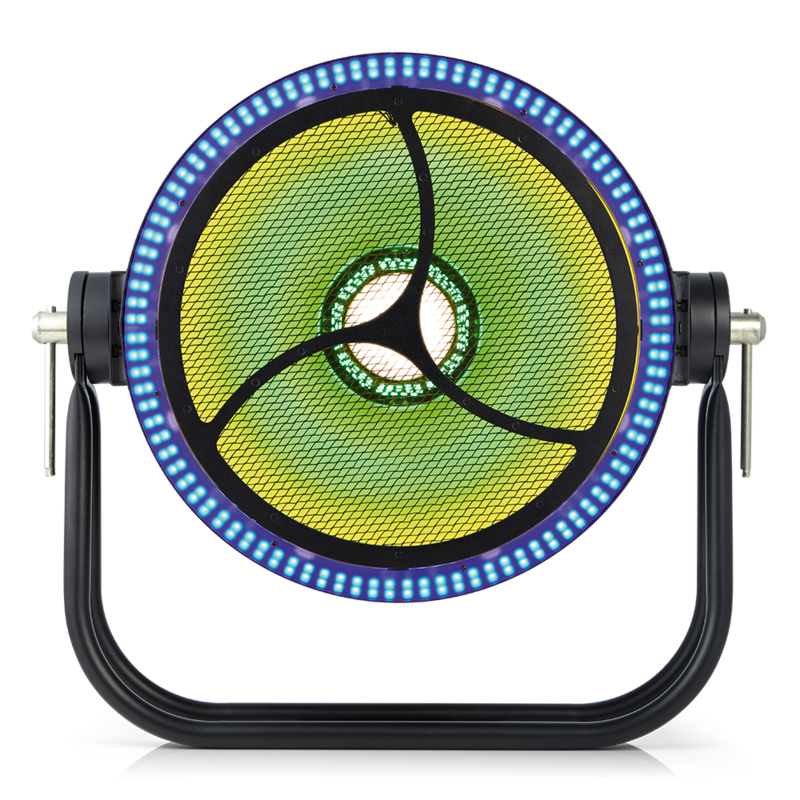 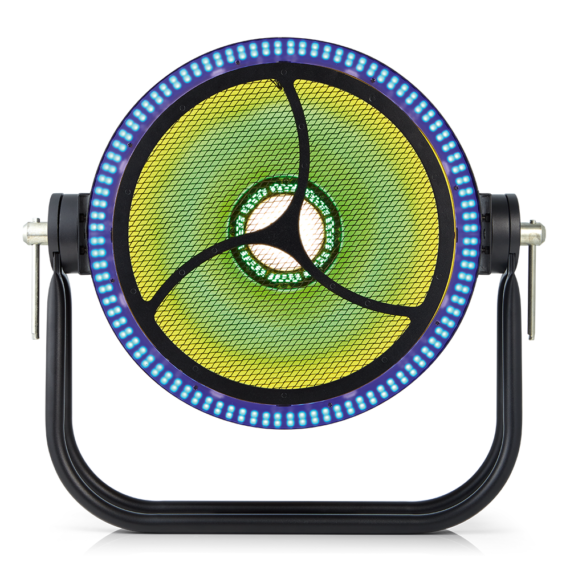 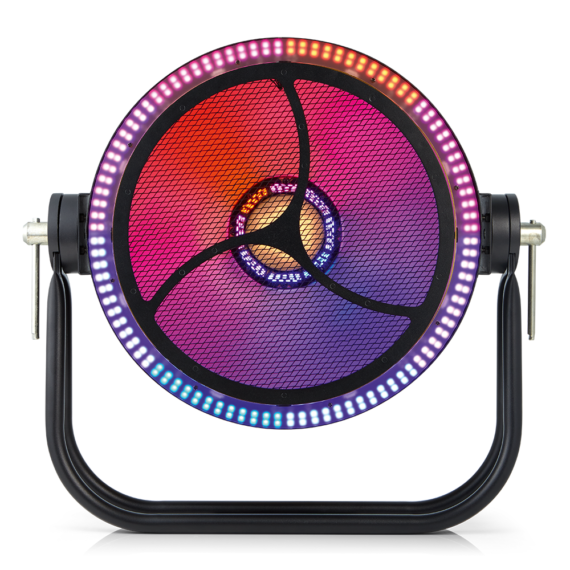 The CLF Apollo is a retro style ‘on stage eye-candy’ effect with various, separately controllable, LED segments. 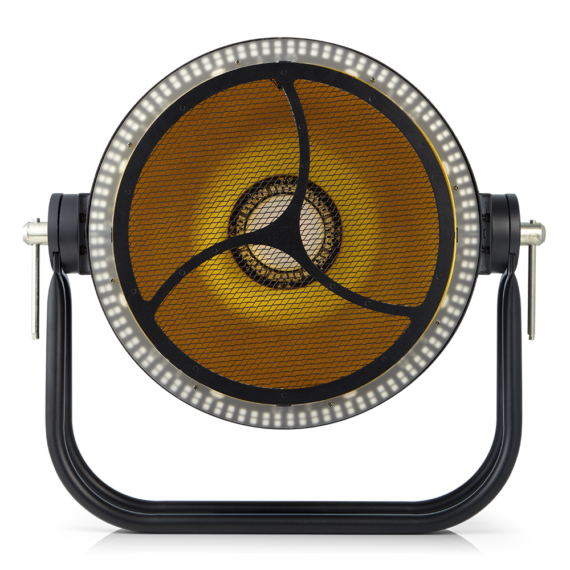 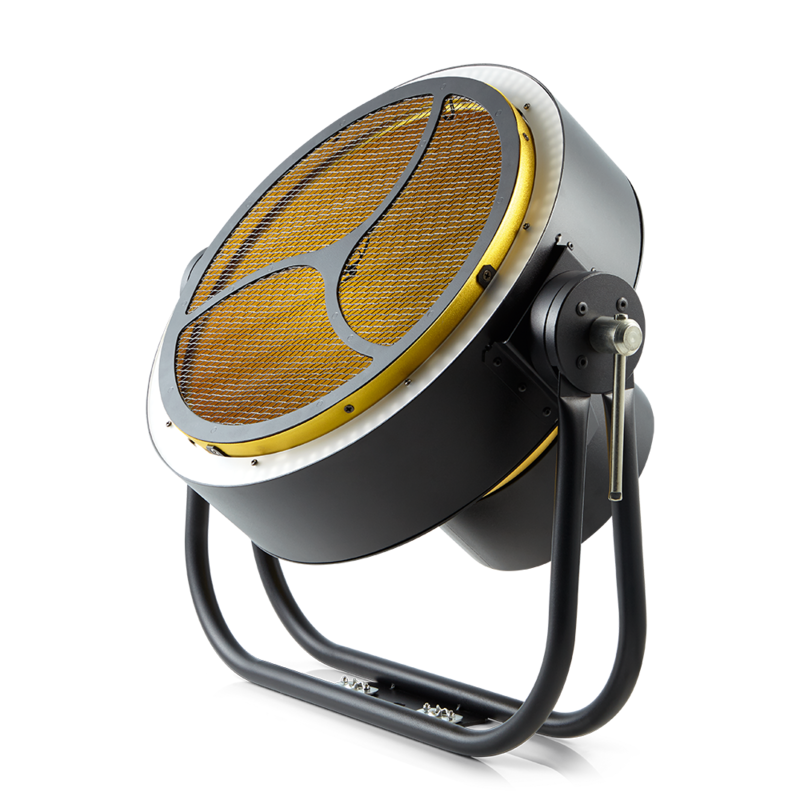 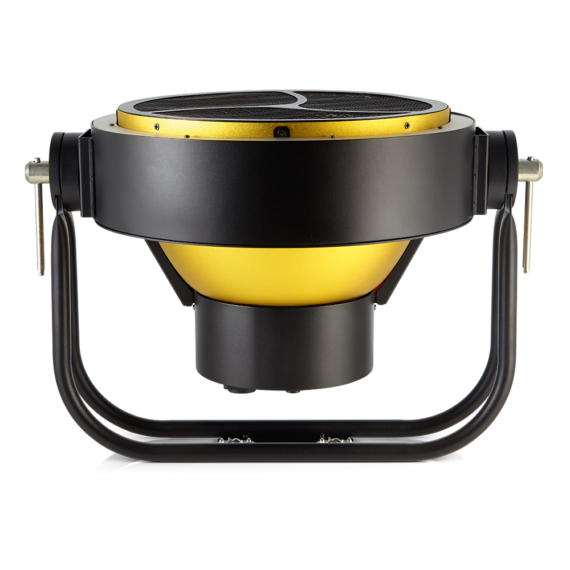 A powerful warm white / amber LED center effect is surrounded by eight RGB segments which illuminate the iconic golden inside reflector. 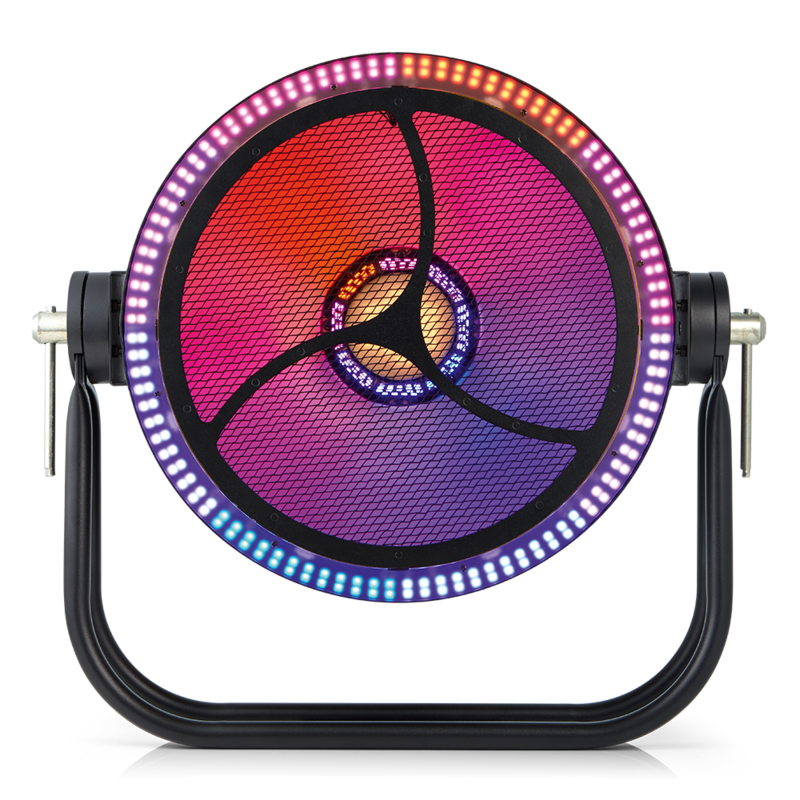 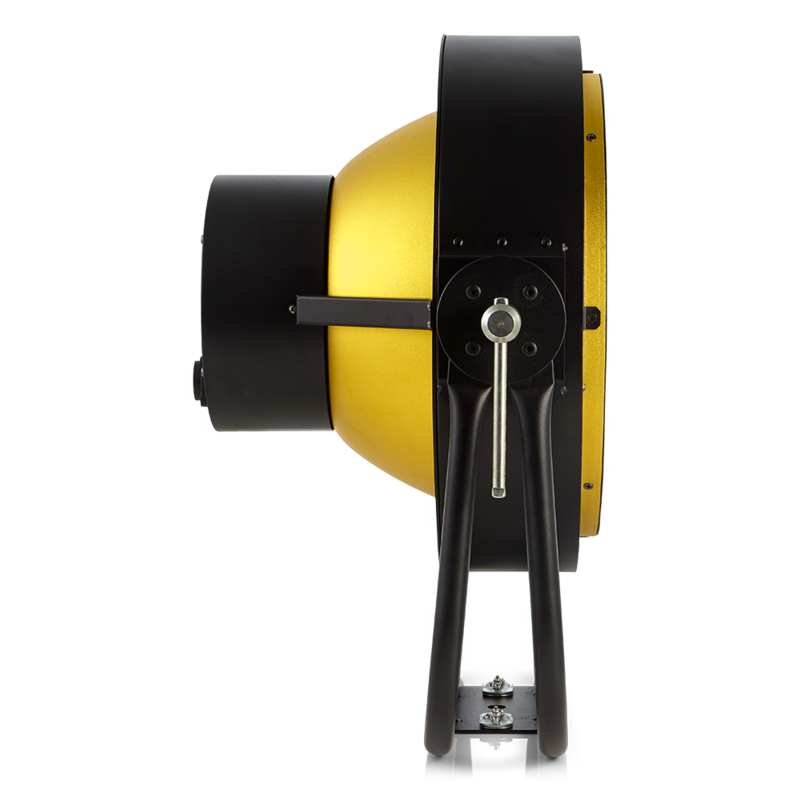 Around the parabolic reflector, eight different RGB segments provide even more creative possibilities. Combine a vintage tungsten look with modern, colourful, LED animation effects. 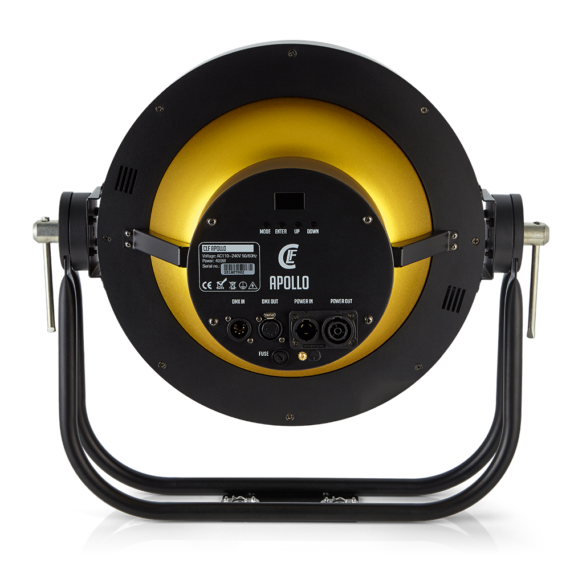 Pre-programmed pixel effects make it easy to create impressive and attractive effects, but different DMX modes allows precise control of all different LED segments for extensive control.